Game Introduction – Drag’n’ Boom Is A New Fun Arcade Game Developed By ANKAMA Games For Android. In This Game, You Play As A Teenage Dragon Who Collects Gold By Roasting Neighboring Lords. Your Goal In This Game Is To Roast Neighboring Lords And Steal Their Gold In Order To Store Treasure. Game Controls – The Left Side Of The Screen Controls Your Movement – Jump, Fly, And Charge Your Prey For Example – To Move Up – Touch, Hold And Release To Fly. 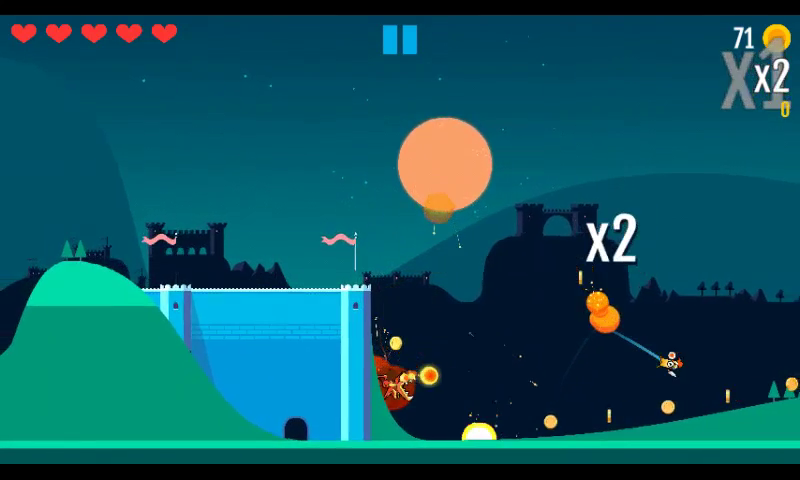 While Right Side Of The Screen Lets You Release Fire Balls – Spoil, Burn, And Loot. To Unlock New Powers Of Your Dragon, Gather Gold. Launch Your Enemies Into The Air And Perform Special Moves To Destroy Them. The More Gold You Gather, The More Powerful You Become. Use Slow Motion Skill/Effect With Your Dragon And Shoot With Extreme Accuracy. Game Play – Use Your Left Screen To Control Your Dragon – Move Right, Left, Up, And Down. Use Your Right Screen To Release Fire Balls To Shoot Enemies. Collect Gold And Clear Levels. There Are Tons Of Levels Are Available To Clear. Price – Free(Contains Ads, In-App Purchase), Size – Under 50 MB, Status – Stable. You Can Download This Game From Here(Google Play Store). People Are Loving This Game – Downloads – 10,000 – Rating – 4.9 Which Is Excellent. Like Our Facebook Page – MrGuider, Follow Us On Twitter – @techhuntr, Subscribe Us Via Email To Get Gaming Updates Right To Inbox. If You Have Any Suggestions, Please Submit Here.